So in my last post I discussed how finding the right line up of curriculum really depends on your family’s individual needs. Today I would like to share with you what my experience has been. Very early on, I started out using www.hubbardscupboard.org just to pass the time constructively with my children. They provide a great variety of resources already planned out for you. It is a Christian resource which has the units designed in themes, centered around Bible stories at the younger ages, and character traits for the older ages, so if you are studying about Adam and Eve, you learn a corresponding Bible verse, the letter A, with a rhyme to illustrate the sound…”Adam at an apple a, a, a…” counting by putting apples on a tree which is a printable they have available to you…and a whole host of other activities to fill your week. This was the greatest resource for me. Once that curriculum finished I was at a loss. I wanted a curriculum that was laid out the same kind of way. 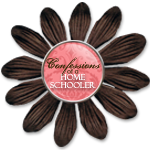 I tried to do research, for a similar set up of curriculum most of the ones that were unit study, were out of my price range, so I tried a variety of things that I found at a local used homeschool bookstore, and utilized tons of free online resources. We made it work, but doing it this way, was a lot of effort on my part, to do the research and prepare all the things I needed for the lessons. It was a bit overwhelming, for me as I also had a 2.5 yr old and a 6 month old to care for as well. In considering this, I knew that I wanted something with minimal planning on my part, I also had to take into consideration, my strengths and weaknesses. I observed as a weakness, that organization is something that takes a lot of concentrated effort on my part, as a strength, I am very artistic and creative and can come up with pretty much a creative way to teach anything. In considering Joshua’s strengths and weakness, I needed to take into account that Joshua is a very intelligent child, he learns things very fast, it’s fascinating to me. Basically I teach him something once and he knows it forever, he also does well using workbooks, and even taught himself how to read while we were working on beginning and ending sounds in a workbook we bought in the $1 section of target! Weighing all these things, I figured that whatever curriculum I settled on, for the core curriculum (math, reading, phonics) I wanted it to be a Christian curriculum, a complete curriculum, one that was put together by one company and came with everything I needed to teach a full year of school, and that it have some workbook centered time. I wanted one that outlined everything I had to do, and had all the resources, and was workbook centered. And of course that it fit our budget. Our pediatrician homeschools, and he recommended Rod and Staff to me. I checked it out online, and it was completely affordable and came with a complete 1 yr of curriculum, workbooks, flash cards, even art and music curriculum. Everything that needed to be taught was completely outlined for me all I needed to do was pull the things they told me to have ready for class, and then teach their curriculum. I was sold. I ordered it and was ready to go at the start of the year in 2011. We have been blessed by this curriculum, it was great for my own strengths and weaknesses. One thing we have found to be a challenge, Joshua’s intelligence, the first grade level curriculum we chose for him because he was already advanced, has not been challenging enough for him, it is very slow moving lots and lots and lots of repetition for a boy who grasps things very quickly, it has been frustrating for him. I was very discouraged the first week of school when he was saying, I already know this mom, I need something more challenging…most teachers would love this comment, and I am pleased that he is such a fast and eager learner, but I had no budget to go out and purchase a whole new curriculum…what was I going to do…That will be covered in my next post, The Curriculum Challenge Part 3-Making the curriculum you chose work for your family’s needs.